Dr Tarantola is the kindest, nicest and most patient dentist I have ever had. He's not just treating teeth, he's treating me....a special individual with my special needs I have been struggling for years with partials that constantly hurt various parts of my mouth. I went back numerous times for adjustments. Now with Dr Tarantola my partials worked with no return trips necessary. He is an artist as well as an excellent technician. He really takes great care in getting the mold done perfectly. On Tuesday Jan. 28th, I had my teeth cleaned at Dr. T's office and it had to be the best cleaning ever. The hygienist used a different method unlike any other cleaning I have ever had. The staff is very nice and friendly. I highly recommend the business to take care of your dental needs. I'm very happy with the care I've received here. It's a very pleasant atmosphere; everyone is polite and friendly. My teeth look great. I definitely came to the right place! My first appointment with Gregory Tarantola was my most pleasant dentist visit ever. I really appreciate the care and attention I received as well as the friendly and personable approach. I would definitely recommend this office to anyone. If you're looking for a cold, just the facts, drill it, fill it, and bill it dental practice, keep looking, as this is not the place for you. While the drill, fill and bill do occur here, so does the caring and personal attention of Dr. Tarantola and his associates. A recent trapped popcorn kernel turned out to be a cracked, razor sharp vitreous shard from a capped tooth. This we found out when the Dr. squeezed me in a busy schedule and he discovered the real issue, buffed out the spur and saved the cap, all while catching up on our family news and sharing his. Dr. Tarantola's practice is both expertly skilled and caring....just the winning combination I sought and have found at Dr. Tarantola's office. That puts a healthy smile on my face! I feel very lucky to have been referred to Dr.Tarantola by my co-worker. We started my treatment plan and I look forward to getting everything done. I found their office to be professional/friendly and very efficient. Thank you Dr Tarantola and staff! Dr. Tarantola is the most caring, knowledgeable and skilled dentist I have ever had (50 plus years). I've had one of three dental revision procedures completed by him so far. He clearly explains what he is doing in a very relaxed manner and one that I easily understood. He worked quickly and precisely and accommodated my needs to be careful with my sensitive neck and head, the best anyone ever has. I looked forward to my next two procedures. Hi, I would highly recommend Dr. Tarantola to anyone seeking, careful, professional, and painless dentistry. Not only do I feel my teeth are soundly restored, but they also look great! Sincerely, Maggie M.
Dr. Tarantola's office is very peaceful, calm, and customer service oriented. His care is patient focused. My treatment was simple, quick and pain free!!! I love the fact that he doesn't do the typical "chair hopping" that is so common at other Dental Offices. When you are at Dr. Tarantola's office he is focused on you, not how many other chairs are full of patients waiting for him. I have had excellent care from Dr. Tarantola and his staff. The work they have done has gone smoothly with no complications or any discomfort. I would highly recommend Dr. Tarantola to anyone. This office is the best. I have never seen such caring people in a dentist office. Dr. Tarantola and Tina make it a very pleasant experience. Tina is a rare find. A real gem! She went the extra mile everytime I was in the office! Robin is great, too! You guys are the best...thanks for all the assistance and friendly service. I am a new patient of Dr. Tarantola's office and have been there twice for some significant dental issues. He and his staff used his state of the art diagnostic equipment to determine the nature of the problem and provided several options to correct the problem. On the second visit, an old crown was removed and a significant amount of decay under the crown was removed. Dr. Tarantola then crafted a replacement crown utilizing composite materials and who process only took about an hour and a half. The cost was significantly less than the replacement of the porcelain crown which was removed. It should also be noted that I hate needles and I have a sensitive gag reflex. When the anesthesia was administered I didn't even realize that I had been injected. The whole process was completely pain free. Dr. Tarantola and his staff have been wonderful to work with and they are true professionals who really care about what's in the best interest of their patients. I highly recommend them. It was a pleasure meeting Dr. Tarantola and his staff. After having gone to the same dental office for over twenty years, it was nice to start at a new office that offered the same level of patient care and professionalism. I was recently told by my regular dentist that I needed a root canal after I had a routine filling would not stop hurting. I had a terrible time with a previous root canal ( that I can see now, I probably did not need) and went to Dr. Tarantola seeking an alternative. Dr. T was thorough and caring. He took an x-ray and told me the tooth root looked healthy. He figured out that my night guard to protect my teeth from grinding was not keeping the pressure off my tooth while it tried to heal. He took me off Tylenol with Codine for the pain and suggested that oral arnica would work just as well to ease the inflammation and the pain without the side effects. It did! He performed two separate painless laser treatments to help the tissues of the filled tooth heal and created a new and much improved night guard for my teeth. The back teeth don't even touch much less grind at night and the fit was perfect and comfortable for all night wear. After just a few weeks, my tooth felt perfectly fine and I avoided an expensive and painful root canal that I probably would have had similar issues healing from. I would recommend Dr. Tarantola to anyone who would like a physician who listens to the patient's concerns and their wishes for their body. I work in the holistic health field and would recommend Dr. T to anyone who wants an option for alternatives to the usual approaches to dentistry with attention to bedside manner and detail. He also has filled his office with an incredible support team that is second to none in patient care and follow up on everything from check in calls to billing needs. My dental experience at Dr. Tarantola's office has been extremely positive. The atmosphere puts me at ease and everyone there is friendly and approachable. I feel that my concerns are taken into consideration and they are attentive to special needs. My gums have shown improvement since being their patient. I chose Dr. Tarantola in large part due to the fact that he was the hand-picked successor to my life-long dentist, Dr. Stephen Hwang. Having just recently completed my initial visit, I feel as though I have made the right choice. Dr. Tarantola and his staff were friendly, attentive and professional. I couldn't have been more pleased. Start typing your happy testimonial for Gregory Tarantola DDS here... After 28 years of working in dental offices, this one included, I am so happy and pleased that this office is one of the finest! Patient care is first and foremost. Care, skill and judgement is among the finest! Growing up in Jacksonville, I had been to the same dentist for over 30 years. I was so concerned about X-Rays and Mercury that I wanted someone who would listen to those concerns and not just gloss over them. Dr. T. also had a solution for which my other dentist told me surgery was my only option (!!!). Boy, did I hit PAY DIRT! Not only is Dr. T. like no other doctor I've ever been to regarding the time he takes and his thorough consultations, but he has an amazing staff! I can't say enough- --really!! I am super-happy but wish I'd have made the change many years ago. I really appreciate Dr. Tarantola and his staff. They are always on time, courteous, professional and caring. I tease the staff that "I am allergic to pain" and they do all possible to keep me from being uncomfortable during my procedures. I wanted to express my thanks to Dr. Tarantola and his staff for the best experience a person can have at a dentist's office. Each person was extremely professional and very knowledgable about their aspects of the office. Not only were they professional but they are also extremely caring and they have created a very relaxed atmosphere in the office. I have total confidence in Dr. Tarantola and his staff for any needs that I may have. Everyone was so kind and thoughtful! Like his "bedside" manner--listened and was patient. > There are not enough words to thank you for your EXPERT care and > skill! My mouth feels great. I sincerely appreciate Robin, Dr. Tarantola > and Tina. She is a real asset to the office. Dr Tarantola and his staff were excellent. All my questions were answered and he was quick to return my call when I had additional questions. My exam was the most comprehensive dental exam I have ever had and the consultation was exceptionally professional with a special folder containing photos, findings, explanations, suggested treatments, costs broken down by specific treatments, plus totals and everything explained in detail. I plan to make this holistic dental practice as a main part of my personal health team. I would recommend Dr. Tarantola to anyone who cares about their overall health and am encouraging my family and friends to go in for his 10 point checkup. Always friendly and kind. Thorough, professional and gentle. A wonderful staff. I have had a dread of going to the dentist for as long as I can remember. Last week, however, I went to Dr. Tarantola for the first time and midway through my cleaning I realized that I wasn't feeling that dread. Why not? Dr. Tarantola didn't assume that he knew more than I did about my issues but he listened to me when I explained what I thought was going on. Not only that but also during the cleaning a sonic device was used to break up the plaque so that less scraping was necessary. Overall, the experience lessened my stress and gave me confidence in my at-home cleaning procedures and in my choice of a new dental team. I could not be more pleased with how I was treated by everyone at this practice. Fears were calmed and treatment was explained very thoroughly. Dr. Tarantola was soooo gentle in my mouth and so sweet and understanding of my concerns. I could not be more pleased and tell people about this wonderful practice. They are worth a million bucks although I am glad they don't charge that. LOL They are worth every bit they do charge and were very sweet to file my insurance for me, so I didn't even have to worry about that. I am thrilled and I found Dr. Tarantola! Amazing office, staff and experience. Was referred by a trusted friend for a second opinion re: a root canal. actually discovered with Dr. Tarantola I did not need a root canal nor most of the recommended treatment another dentist had quoted the week before. now have a new dentist named Dr. T.
Dr. Tarantola joined Dr. Hwang before he retired so I've never had the pleasure of really knowing how talented he was until this week. Dr. Hwang had some big shoes to fill and I must admit, I'm really impressed with his talent as a dentist and his "chair-side" manner. I'm scared to death of dentists and he made me feel more comfortable than I've ever felt, EVER! !, in a dental chair. (except my ongoing experiences with the most wonderful dental hygenist there is... Robin Nutter!! Cheryl assisted him and took time to continually tell me how good things were going and really reassuring me. ina, at the front desk, is wonderful too. What a great team they all make! The procedure they did is a total success, I love it! Dr. Tarantola and his professional office staff provided excellent dental care in a very compassionate and friendly atmosphere. Also, a followup call the day after your procedure to see how you were doing was greatly appreciated. I cannot imagine any better care. Thank you. I was referred by my sister to Dr. Tarantola and I was every bit impressed with your office (very clean) and staff as she said I would be. The receptionist, as well as Dr. Tarantola and his wife, were extremely personable!! They really have that family feel atmosphere and make you feel right at home! They were very thorough and explained everything to me. I loved the fact that I could see my pictures on the monitor in front of me. I don't think I have ever felt so involved in the whole process as I did with Dr. Tarantola. I have already referred your services to several people I work with. Thank you!! Hi everyone! My name is Kim Davis. I live in Jacksonville Florida. This personal testimony comes straight from my Heart. This is for anyone who is terrified about seeing the "Dentist". Scary huh? Let me start From the beginning, when I was 5 years old, a Dentist slapped me right in the face. This was done to stop me from screaming. I NEVER went back until I was 11 years old. My teeth were in terrible Condition. My mother took me to see Dr. Hwang. I made him miss two appointments as he was trying to talk me into giving me a shot. Long story short, I agreed. I never felt anything. Dr Hwang practiced gentle dentistry and taught others how to give a painless injection. At this point, he had my trust. I never went to anyone but him. Well, After after 45 years he needed a rest! So Dr. Hwang set out trying to find just the right guy to take over his practice and someone who had the same gentle touch he had. Well, he found THE MAN! His name is Dr. Greg Tarantola. He gradually brought him into the office and introduced him to long time patients. Dr. Hwang retired and he and his wife are now getting to enjoy traveling. I gotta tell ya I was kinda scared at first. But once I met Dr. Tarantola and his lovely wife Cheryl I was like ok let's see how he does. The first thing he did was touch my forehead just to put me at ease and I relaxed. Guess what? I closed my eyes I felt like it was Dr. Hwang working on me. This nice man also has that same gentle touch!! I would not even consider seeing anyone else. Every experience has been the same. His wife Cheryl is his assistant. She is just a sweet heart and just as kind. They are a GREAT team to say the least. Going to the dentist does not have to be scary or hurtful. The dental hygienist Miss Robin is great too. Robin has been cleaning my teeth for 40 years and also has that gentle Sweet touch...... no more scraping and scaling, She uses waterlase and feels marvelous! Not to forget miss Tina who manages the front desk. She is beautiful, kind and very helpful. I have Major back problems and can hardly walk. No problem, she comes out and helps me get in. How many people come out there and haul you in?? Only miss Tina. She really cares about me and I can really feel it. Everyone take heed to this.......NO PAIN!!!! I give you my word Dr. Tarantola is the best dentist in this galaxy. What First thing people notice...your smile. So call him up and get those teeth fixed so you can have a beautiful smile just like me. They have great customer service and they are up to date on any equipment or products that make your experience more comfortable or that help you maintain the health of your teeth. Dr. Tarantola is very professional and he won't let you leave unless everything is perfect. I cant stress enough how awesome the customer service is, the lady who works at the front desk is an absolute sweetheart, so is the dental hygienist; and on top of it all, they know what they're talking about. I would easily recommend them to my family. You are in good hands here. When I found Dr. Tarantola I had been searching for a Dentist like him for a long time. Since I was 3 and had to have all of my baby teeth removed I have had problems including numerous root canals and extractions which did not make me feel any better. As a matter of fact I felt worse. Now that I have found Dr. Tarantola I feel that I am on the right path to not only good Dental Health but overall physical health. Because of his efforts and referrals to others I am finally getting the answers to the puzzle and on the road to health and recovery. I have never had such a thorough and informative hygienist such as Robin. His office staff is great! When I moved here I was so afraid I wouldn't find a dentist I could trust. Dr Tarantola's entire office staff is superior. I cannot write my old dentist to tell him we have found such a wonderful, caring dentist. I get very nervous about the Dentist. There are many things that play into this fear but, one of the things that bothers me the most if my memory of a bashing from both a dentist and his hygienist in my past. I realize that I haven't been the best steward of my dental hygiene and that would be the reason I'm at the dentist in the first place. What I find so special about Dr. Tarantola and his staff is the caring spirits they have. The other very important thing is the fact that on my second visit, the dentist did not concentrate on any one issue or tooth but he concentrated on my whole mouth and came up with a plan to make me whole again in terms of my dental hygiene. I can't tell you how much that excites me. I have never had a hygienist like Robin before. Her knowledge is unbelievable and it was all about how she could help me get healthier in my mouth. I would recommend this dentist and his staff to anybody...without any reservations! God Bless You All! This is the second time I have gone to Dr. Tarantola's, but my wife has been going since she was a teenager. The staff is always friendly, the dental hygienists are knowledgeable and always ready to answer ANY questions (no matter how big or small), and they will take as much time with you as necessary to make you comfortable with the process. Okay let's be real here, only the deranged person actually enjoys a visit to the dentist, right? Dr. Tarantola took over the practice for Dr. Hwang so I have to say that Dr. Hwang chose Dr. Tarantola for me. He chose well. I am one of those people who it is an adventure to try to get numb. In addition the numbing agents make my heart race like mad and if put in the lower jaw they tend to make me cry, not from pain but more as a reaction. I have had dentists, try to laugh it off as no big deal. Dr. Tarantola and his lovely assistant Cheryl (sp?) are concerned and caring. When I let them know I was still feeling pain they didn't hesitate, they didn't say "that's not possible" they just injected again in a different area. I would add that I did not feel the injections either, they applied a local numbing agent to the gums before even attempting to inject. Having had some dental nightmares because a dentist did not believe I wasn't numb, I am an anxious patient. While I still cannot say I enjoy going to the dentist, I can say I have confidence in their work, their compassion and concern for me. I had to have a tooth extracted, and after closer examination Dr. Tarantola decided the hook shape of the root and its proximity to the nerve made it a high risk tooth and referred me to an oral surgeon. I appreciate that my welfare came before his wallet. Tina, the office admin gal, is awesome too. She is sincere, professional and personable. The office itself is worth visiting just for its design and layout. If you have time drop by and speak with them and get a feel for the office and staff to help you decide if it is a good fit for you. Face it you are trusting someone with your teeth and health, if you walk in an office and it gives you the heebie jeebies, trust that feeling and get out. Dr. Tarantola is the kind of person that would understand wanting to meet him before making an appointment to have him wander around in your mouth. He understands that choosing the right dentist is key to continued successful dental care, he would be the first to tell you, "if you are not comfortable here, then continue to look for a dentist with whom you are comfortable." That speaks volumes of his professional ethics in my book. All this being said, brush and floss and hope that you never HAVE to see them, but know that if you do HAVE to see them, in my opinion, you are in great hands. Dr. Tarantola's office exudes professionalism and warmth. Appointments are like family reunions. His care and consideration of your personal well being (not just your dental needs) are of paramount importance to him. Each member of his staff has a genuine affinity for everyone who enters the office's front door. Thanks so much Dr. Tarantola for the best dental experience ever!! If you're looking for a dentist that is thorough, does beautiful, healthy dental work along with integrity and the best staff in Jacksonville, Dr. Tarantola should be your dentist! All The Best. The dental care I received was the best ever. First, I want to say that I had an aversion to dentists before meeting Dr. Tarantola. He is very warm, attentive to my concerns and professional. His skills are excellent and I never felt any pain. I mentioned to him that he seemed like an artist, but it was more like a sculptor because of the time and care he took. You can tell that he takes pride in his work which promotes a feeling of value. I went to another dentist who said that I needed a root canal without hesitation or much examination. However, after consulting with Dr. Tarantola he took a positive, conservative approach. The results were fantastic no more pain and no surgery needed. This saved me and the insurance company hundreds. I will continue his services. he and his staff were absolutely wonderful from the time you walk through the door to completion. I have a terrible dentist phobia due to bad past experiences, but Dr. Tarantola made me feel very comfortable and addressed all the concerns I had, which alleviated a lot of anxiety for me. I had a tooth that partially fell out but had a mercury filling, so I needed a dentist that knew how to safely remove the toxic metal. Since Dr. T is the only one in the area who can do this, I went to him. He did a beautiful job on my cap/crown, and was very patient and kind. Everyone who works there is so positive, upbeat, and courteous too. I would recommend it to anyone who cares about healthy dentistry! I used to hate going to the dentist until I found these folks. It is a true pleasure dealing with everyone in their office. And they're funny too! Dr Tarantola and his staff are the only dental service I will use. I have been a patient at this office since for 19 years. Dr Tarantola and his staff are professional, courteous, and helpful in filing insurance claims. He is the Dentist i would recommend to my parents if they lived in this state. I actually enjoyed going to the dentist - I never thought I'd say those words and that's because I'd never met a dentist like Dr. Tarantola. As I walked into his beautiful and peaceful office, I was warmly greeted by his staff. The entire time I was there I was treated with kindness and respect. Dr. Tarantola was professional and friendly and my visit was painless. If you want to experience a dentist that takes time with you and cares about you then I would recommend Dr. Gregory Tarantola. I had three previous dentist's tell me that I needed to have a fractured tooth removed. I didn't want to have it removed because I had already had one removed from the other side and it completely changed the structure of my face. Because of my concerns, I came to Dr. Tarantola to see if he could try and save my tooth. When he said he could save it, I was so happy! It was one of the happiest moments in my life! I like the office because they are open minded and will listen to what I have to say without judging me. I feel very welcome and accepted in the office. I like natural remedies so I appreciate the holistic approach Dr. Tarantola has. Dr. Tarantola and his whole staff truly run one of the friendliest, most helpful, businesses I've ever been to. I know I will always be greeted with a warm smile, and treated with care and professionalism. As long as I live here, I will be going to them for all my dentistry needs! I love going to Dr. Tarantola's dental office. The doctor and all employees are extremely friendly, helpful, understanding, and they listen to my concerns. "They care." Recommendations on dental care are made to personally address my needs. I highly recommend Dr. Tarantola! A fantastic staff that work well as a team, treat each other like family, and goes above and beyond to make sure all their patients are well taken of. I love the positive energy and welcoming service I get when I walk into Dr. Tarantola's office. Dr. Stephen Hwang planned well for the continuing care of his patients when he retired by leaving us in the capable hands of Dr. Tarantola. 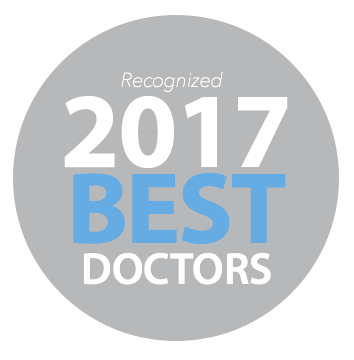 It speaks volumes that Dr. Hwang's professional, caring staff has chosen to continue working with Dr. Tarantola as well. Throughout the years, Dr. Hwang skillfully cared for my dental needs. Thank you, Dr. Tarantola and your wonderful staff, for continuing the tradition of superior dentistry, kindness and care. I love you all! I have always been scared of dentist But Dr. Tarantola has changed my opinion on dentist. He is always concerned about the amount of pain and made me at ease. After work is completed he personally has checked on how I am doing at home, I call that a very personal person. I have always been happy with the results of his workmanship on my beautiful smile,thank you for that. I began going to Dr. Hwang 42 years ago and obviously trusted him. When he decided to retire, I didn't think anyone could replace him. Thankfully he found someone who could, Dr. Tarantola. The fact that Dr. Hwang personally searched for someone who would care for his patients, as he did, says multitudes about this outstanding dental office. Dr. Tarantola has gentle hands and he pays attention to your facial movement when he works in your mouth to see if you are in pain. I was just 9 the first time I met Dr. Hwang and he never hurt me. I see the same quality in Dr. Tarantola. Who wants to feel pain when you are at the dentist office? Not me! I, also, like the fact that he meets with you in his office to discuss your dental needs instead of while you are in the chair. They are the Best! Friendly, Accommodating and provides exceptional service. I highly recommend Dr Tarantola and Staff! Dr. Tarantola and Staff provide excellent dental work and consultive advice. My family and I highly recommend their service. I always receive a warm welcome and exceptional service. I only use high-quality, non-toxic and natural approaches to dental care and that's why I choose this practice. I was once concerned about Dr. Hwang retiring some day, but I knew that he wouldn't bring in just anybody to this practice. It would have to be someone whom shared his philosophy in practicing dentistry. By the way, I first became a patient of Dr. Hwang's when I was 17, and am now 61. After meeting Dr. Tarantola, my concerns were put to rest. He is so kind and gentle, just as Dr. Hwang has always been, immediately putting you at ease. He explains things in laymens' terms & I feel confident in his abililties and comfortable that I have made the right choice. I plan to be a patient of Dr.Tarantola's until. I'm so happy that he and Cheryl have chosen Jacksonville as their new home & that Dr. Tarantola is now my new dentist. The staff; Tricia, Danay, as well as Robin, my dental hygienist, are nothing short of top notch. I now call them friends. Dr. & Mrs. Hwang will surely be missed, and I would, without hesitation, recommend Dr. Tarantola to any of my family or friends. Dr. Hwang didn't let me down. I am so happy to say that I have found the best Dentist in Jacksonville. Dr. Tarantola and his staff make me feel so confortable with all they do. Going back is always a joy. Thank you so much! My mother chose Dr. Tarantola because his website showed that he is holistic and will not push amalgam fillings. We went to him and Robin helped show me how to clean my teeth properly. She showed me tricks to help me. She cleans my teeth really well too. All the people including, Patricia, Cheryl and Danay, are very sweet. I feel very comfortable with them all. Dr. Tarantola is soo nice. I am happy we went there. I have only had to have one small procedure done by Dr. Tarantola, but was most satisfied with his manner and the dental work. Also, Cheryl was very nice and proficient. I have been coming to this office for about 26 years and love all of the staff. I usually only need cleanings every 6 months and at one point Robin, the Hygenist, was also working at another office so I started going there. But when Robin left that office, I did to and came back. If she ever quits cleaning teeth, I will just have to have all mine pulled! (kidding). Everyone, Robin, Patricia and now, Denae make you feel like family and so interested in what's going on in my life. I feel very special when I go there and Dr. Tarantola and Cheryl have both given me a warm welcome, too. I drive from St. Augustine for my appointments so that says a lot!! I'm completely satisfied with Dr. Tarantola's work and ability to squeeze me in when I needed some repair work done. He's the best! And so is his wife and staff! Anyone ought to come to him. They would be well pleased. They will wish they had come sooner. They are very understanding and knowledgeable. He is very thorough and professional. I felt confident and at peace with all he did. Definitely not hurting...no pain. Do try him, you will not regret it.